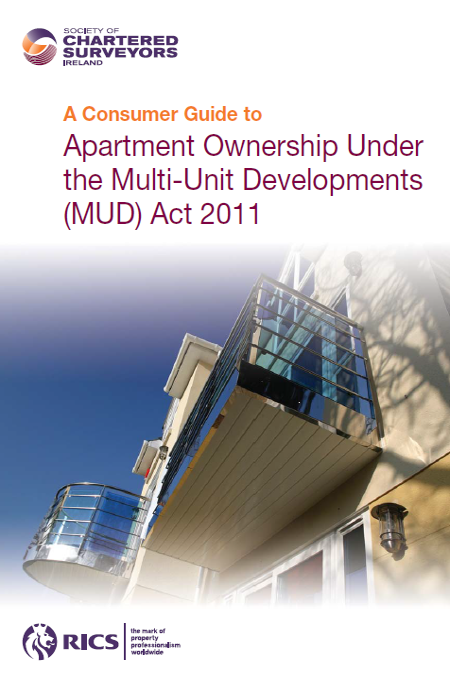 The purpose of this consumer guide is to inform owners and prospective purchasers in multi-unit developments of the key aspects of the Multi-Unit Developments (MUD) Act 2011 and of their rights and obligations as members and directors of their Ownersʼ Management Company (OMC). the past ten to fifteen years. However, a legal framework and regulatory system to govern this new type of housing was not simultaneously developed. This deficiency has resulted in a wide variety of problems and challenges for apartment owners which the MUD Act now seeks to address. with not less than five apartments with shared amenities, facilities and services. This includes private housing estates that have an OMC structure and mixed-use developments which are residential but have also some commercial elements such as shops or offices.